Strong, versatile, and ideal for high-performance race applications, Tremec TKO Transmissions are the ultimate upgrade for vehicles making 500+ ft/lbs of torque. The TKO 500 has 500 ft/lbs TQ capacity, and the TKO 600 has 600 ft/lbs TQ capacity. Three fifth gear ratios available: 0.64 or 0.68 reduces RPM for a fun ride and enhanced fuel efficiency while 0.82 is great for racing and long straightaways. 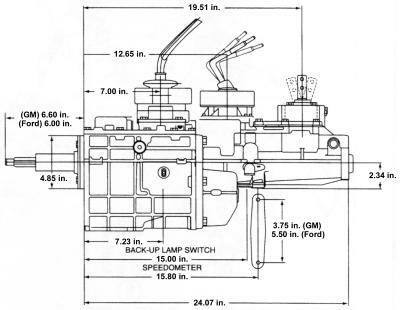 TKO Transmissions are not direct replacements; modification is required to install.